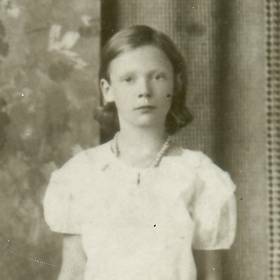 Cecilia Jane Stroika was born to Alex and Elizabeth (nee Mellencamp) Eberle on January 31, 1924 in Milwaukee, Wisconsin. She was the oldest of 5 children; her siblings included sisters Lindy, Paula, Joan and brother John. 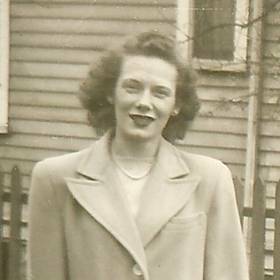 She spent her youth in Milwaukee; as a young woman she met and married Jerome Stroika in the 1940’s. Cecilia and Jerome had 7 children; Sharon, Russell, Jeff, James, Steven, Robert, and Dion. The Stroika family moved to California in the 1950’s. Cele worked for many years in the Catalog and in the Draperies department at Sears. She was an avid reader, she loved reading the daily newspaper from cover to cover. 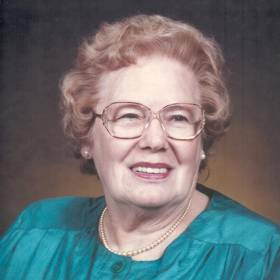 Cecilia J. Stroika passed away on April 8, 2016 at the age of 92 at her home in Covina, CA. 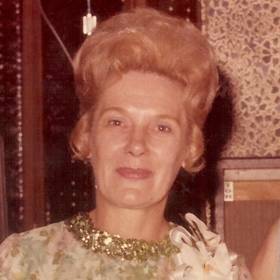 She is survived by her children Sharon (Larry) Lankford, Russell (Margaret) Stroika, James and Steven Stroika, her sisters Lindy (the late Louis) Groth, Paula (the late Steve) Stephens, and Joan (the late Neal) Sparks. 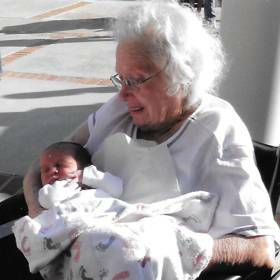 Cele is further survived by 14 grandchildren, 21 great-grandchildren, nieces and nephews. A graveside Memorial service will be held at 10:00 A.M. on Wednesday June 8 at Oakdale Memorial Park in Glendora, CA.